Dr. Newton holds a doctorate in Counseling Psychology, is a certified Master Hypnotherapist and is a member of the American Counseling Association. He has been on the faculty of higher educational institutions as a teacher and counselor while also active in private practice. In addition, Dr. Newton has been a corporate consultant and worked as a behavioral counselor and group therapy director for community mental health centers and spiritual renewal organizations in cooperation with hospital and social service agencies. 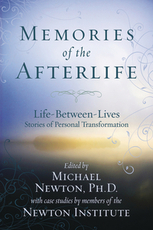 This book about Life Between Lives should be read first as an introduction to the spirit world. It is written as a travel log with sequences of events as they occur to the incoming soul. We start with physical death and then the transmigration of the soul into the spirit world through the gateway, orientation with our spirit guide, rejoining a soul group, meetings with our Council of Elders and general activities in the spirit world between lives. The book concludes with selection of our body for the next life and the embarkation process for reincarnation. 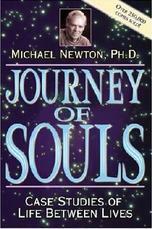 This book is a more detailed treatment of many spirit world stops by the soul discussed in Journey of Souls. There is also a great deal more information about many aspects only touched upon or not discussed at all in Dr. Newton's first book. While it is very comprehensive it is designed for first time readers as well but our suggestion is that you read Journey of Souls first. Ian has a regression therapy practice in Dorset. In his mid-thirties he forsook the commercial world to become a writer-researcher specializing in ancient history, esoterica and spiritual philosophy. His first two books, Giza: The Truth (1999) and Genesis Unveiled (2003), have sold over 30,000 copies worldwide. 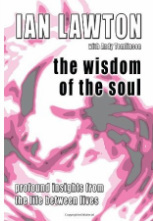 In The Book of the Soul (2004) he first developed the idea of Rational Spirituality, also establishing himself as one of the world’s leading authorities on the interlife. 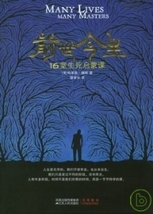 And in The Wisdom of the Soul (2007) he first introduced the idea of the holographic soul. In this book, Dr. Weiss vividly describes the insights of a young patient named Catherine. She came to important realizations about the circumstances of her life today and the intricate thread of previous beings within her experience.